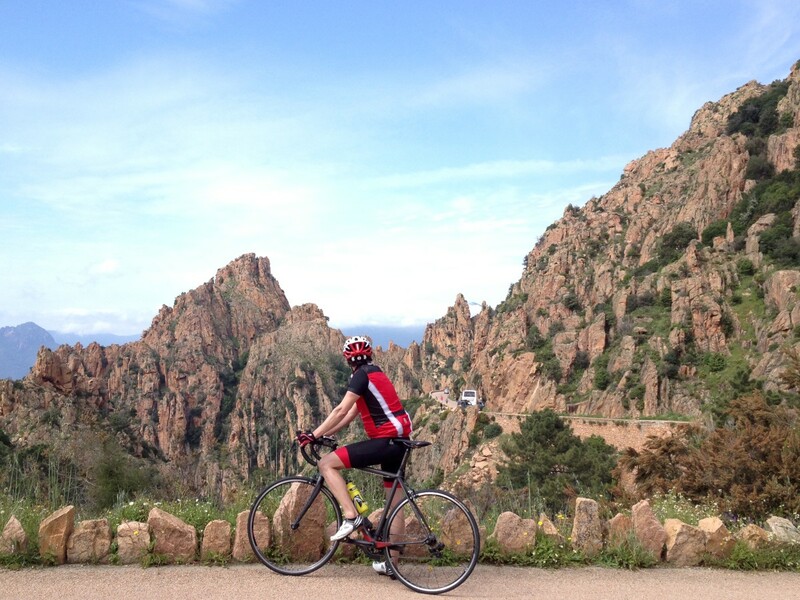 Cycling on Corsica Island is very special. The island attracts many road cyclists from all around the world. Beautiful landscapes are waiting to be discovered. 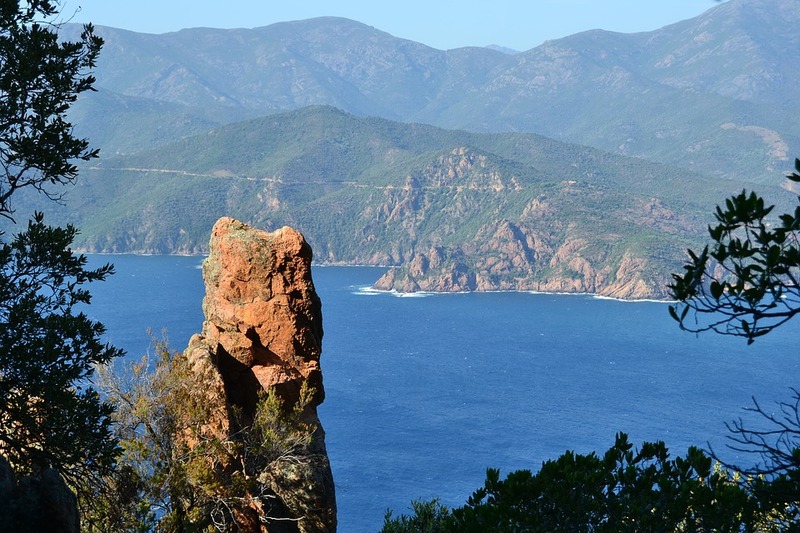 Almost two-third of Corsica Island is covered by natural parks. 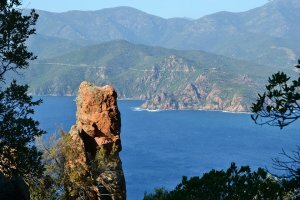 Corsica is also known as “the mountain in the Sea”. 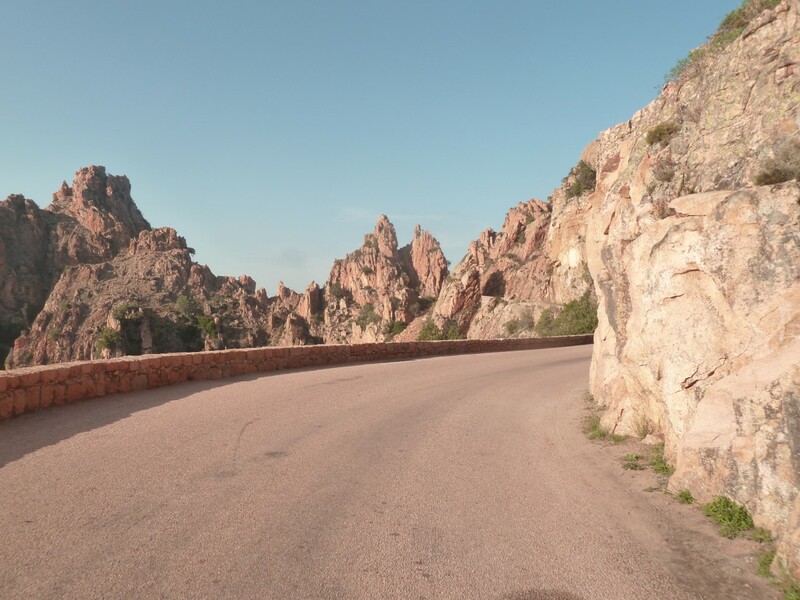 Guided Corsica Island Trip on road bike 2019. For all departure days check: Cost & book. 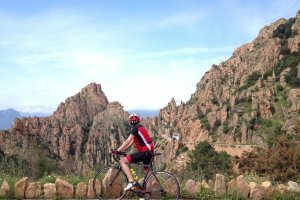 Cycling on Corsica Island is very special. 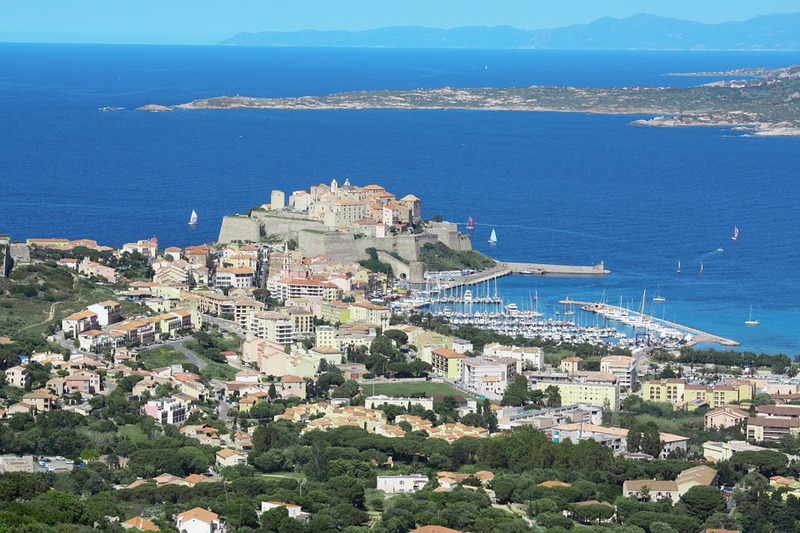 Your start of the cycling week will be in Bastia and ends in Bastia. 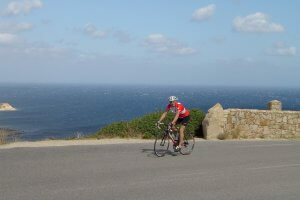 The island attracts many road cyclists from all around the world. Beautiful landscapes are waiting to be discovered. Almost two-third of Corsica Island is covered by natural parks. 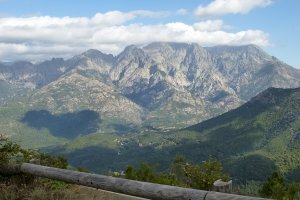 Corsica is also known as “the mountain in the Sea”. 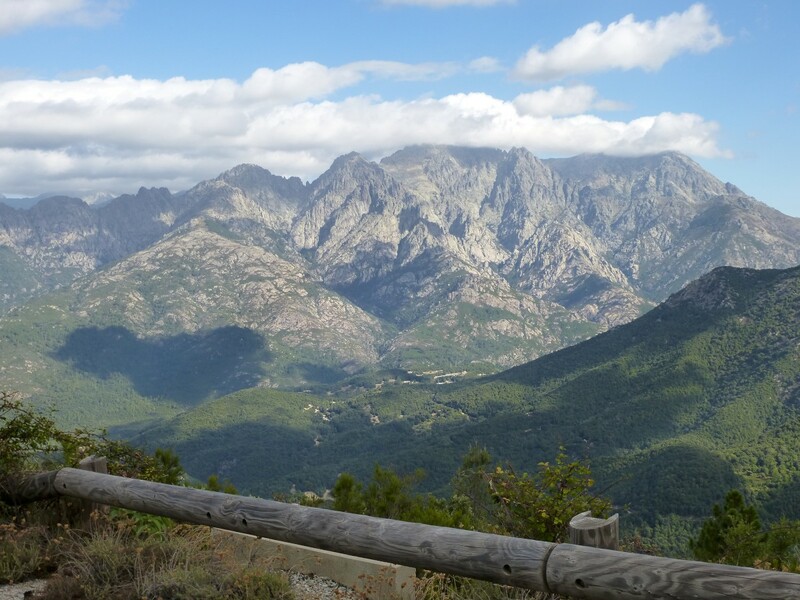 The mountainous terrain makes Corsica not an easy island to cycle but that makes it more challenging to cycle. 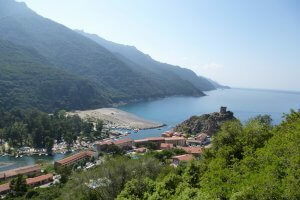 The route is famous because of the stunning landscapes, crystal-clear waters, impressive cliffs and spectacular views. 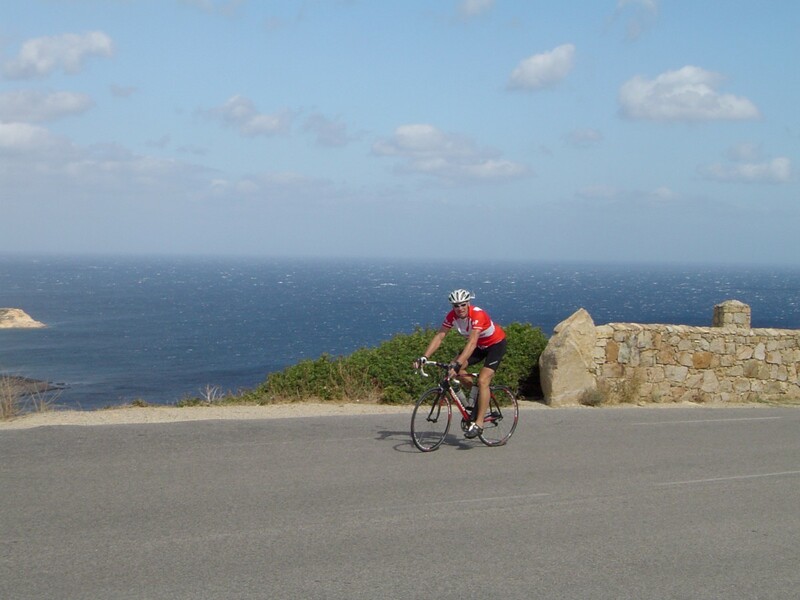 Furthermore you’ll cycle tough climbs, great downhill’s through undulating natural beauties. Especially the rugged Mediterranean coast is typical for the islands culture and heritage. On all cycling days you’ll climb some 700m on the mountains a day and you’ll cycle around the 100 km. These two things makes this cycle trip a real challenging cycling week. You discover the amazing scenery that this Mediterranean island has to offer. Ride along the roads switching between coast and mountains and meet proud local people who will show their passion for food and traditions. The accommodatiosn are all well located and offers all comfort you need; whether in hotels, guest houses and auberges (double rooms). Certainly this guided Road Cycling trip on Corsica island is a must do for every keen cyclist! 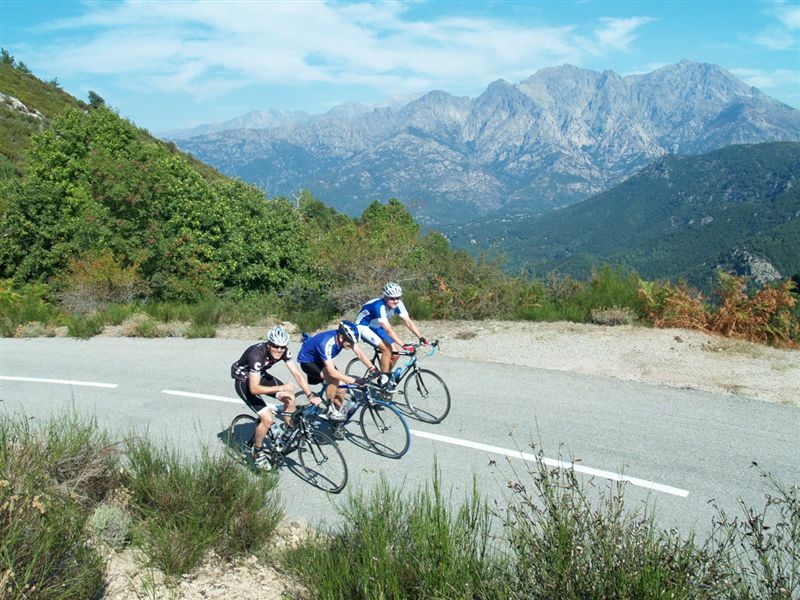 Join us and get a fantastic cycling holiday on the Island of Corsica! You’re right in the middle of Corsica island. After breakfast your day starts directly with ta climb to Col de Vizzavona followed by a short fast downhill before climbing again, up to the top of Col de Scalella. Further on the route undulates through some old historical villages. Your hotel accommodation is situated in the bay Propriano with a spectacular view over the Mediterranean. Accomodation in Propiano. Option 1 110km - heightmeters 2300m - Max height: 1178m. Option 2 About 145km - heightmeters 2500m - Max height: 1178m. Your last cycling day. 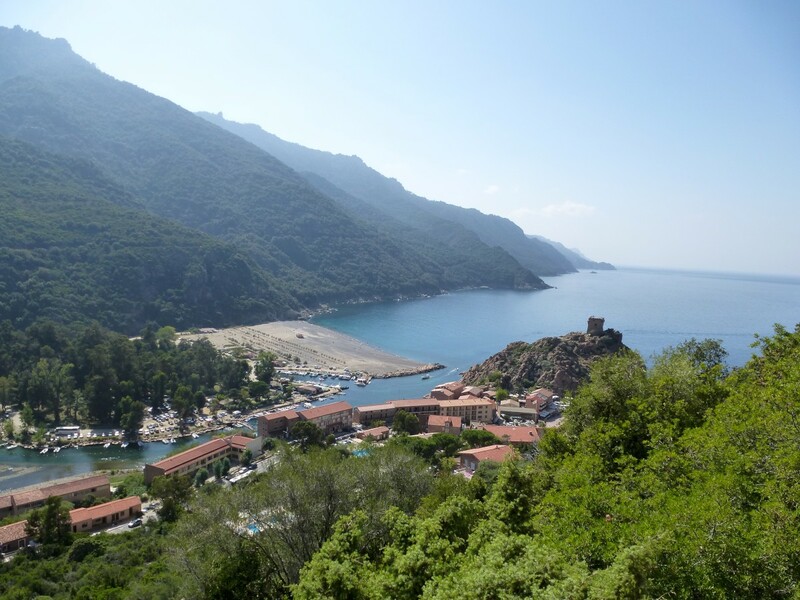 Immerse and cycle the Castagniccia area of Corsica. Today's route winds through the pure nature region of Castagniccia known for its old chapels, natural water sources and centuries old chestnut trees. That's pure nature!! Keep your eyes open for the "Milan Royal" (a local Corsican bird ). Soon you will reach the east coast again, and Bastia is not much further. Option 1 Distance 105km to the aiport with 2150 heightmeters or 123km ( if you want to stay at the port) - Max height: 985m. 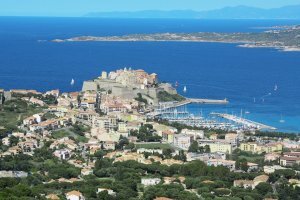 We can book an extra night for you in Bastia or in Lucciana near the airport. The airports of Bastia and Ajaccio are the most important hubs to Corsica Island. Air Corsica is the main operator to Corsica Island. Easy Jet has several flights to Bastia airport as well. Bastia airport (Poretta) lies 22 km from the centre of Bastia. At the arrival halls you can find the bus stop to Bastia city centre. The shuttle bus will bring you in 30 minutes to Bastia’s railway station. Taxi ranks are in front of the terminal. The ride to downtown Bastia is roughly € 40. For bookings & inquires: send an email to info@cycleclassictours.com. When the tour operator confirms to us. We confirm to you and charge you’re a deposit fee of €425 per person plus a € 15 booking fee. Lunches from day 1 to day 7. Van assistance and luggage transfer during the stages. The transfer to the starting point of the tour, and the transfer after the tour.